CyanogenMod, the Android modding team which loves to bring in fast, lean, well-featured custom ROM for loads of devices which manufacturers have decided not to upgrade to the latest OS, has today released stable CM9 (Android 4.0 ICS custom ROMs) for several devices. CM9 has taken a long time to make, which the team had already warned us of, but now the final stable versions of CM9 are available for downloads for many devices. 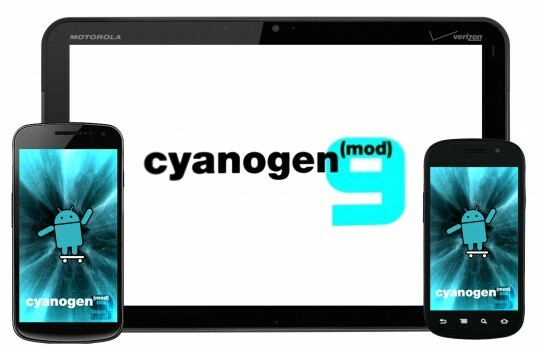 With the release of these stable CM9 ROMs, CyanogenMod team will be shifting its focus totally on CM10 (Android 4.1 Jelly Bean based custom ROMs) and have said that development on CM10 will be faster in comparison to CM9. So if you own any of the devices mentioned above or any other and want to try CM9 for your device, head over here to download the ROMs.